When your work uniform includes make-up, it can be a fun thing for a makeup lover, something I admittedly am. Besides those earlier mornings having to get ready it also means, unpredictable lighting. Nobody has time for that cos by the time I've started and finished my make-up that sun has moved, lighting has decided what it wants to do and I'll walk into the bathroom and be like, oh! little too much once I step out of the dark into the light. Internal lighting is the solution but finding that correct lighting and then the mirror, blah blah blah it's enough to make you want to throw the make-up out and be like f-it. 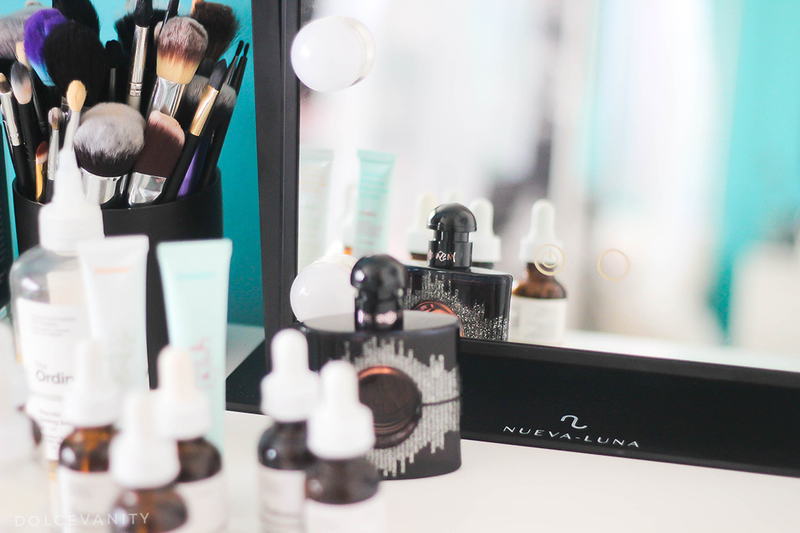 When I came across Nueva-Luna I was very interested in trying their range of mirrors, especially their Hollywood Vanity mirror. TBH, it's the solution we're searching. It's a reasonable size 36.5 x 8.5 x 47.5 cm, so it doesn't take up much space on a vanity but it's a good enough size to do hair & make-up in. With 9 LED Hollywood style bulbs that provide both cool & warm lighting (mine stays on cool) it also allows you to dim the lighting but not only that your desired lighting is remembered when it is next switched on. The buttons on the mirror are touch screen - technology - can sometimes make the mirror get dirty quicker but if you're anything like me, coming home from work it's operation clean up, anyway. It's light and easy to move around, the usb style plug allows you to plug in wherever you desire to get the best application for your beat. I chose to get mine in black (it's also available in silver) and Nueva-Luna have a lot of discounts and deals regularly so you'll get the best price for you. I've never looked back since getting this mirror. I'm going to have to dispose of my previous No.7 one as it just takes up space as it's no longer being used but boy did that one serve me for a long time too. Delivery from the company was also fast - next day fast. I'm very happy with the company, the mirror and my flawless daily face thanks to skills & well Nueva-Luna making sure no matter the time or lighting situation, I don't ever have to have a bad beat! What a gorgeous mirror! It looks the perfect size for a vanity table and so portable too! Having the right light for applying make up is so important. It is so frustrating when you cannot see properly, or even when there is too much light and you're getting blinded and wondering if anything is actually going on in the right place! Brilliant idea to have a mirror like this, it sounds ideal. 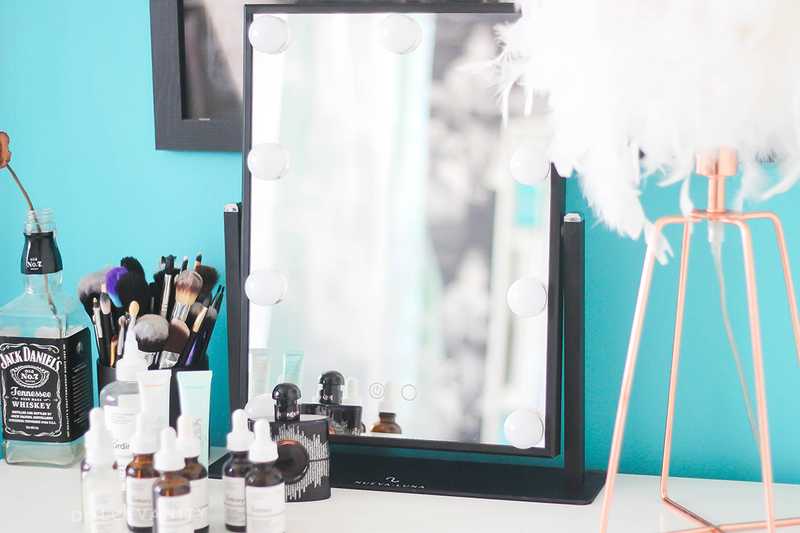 Wow I seriously need one of these mirrors in my home too, they look so pretty in this post too!